Are you attending the Ultrasound in Medical Education Forum at UC Irvine? 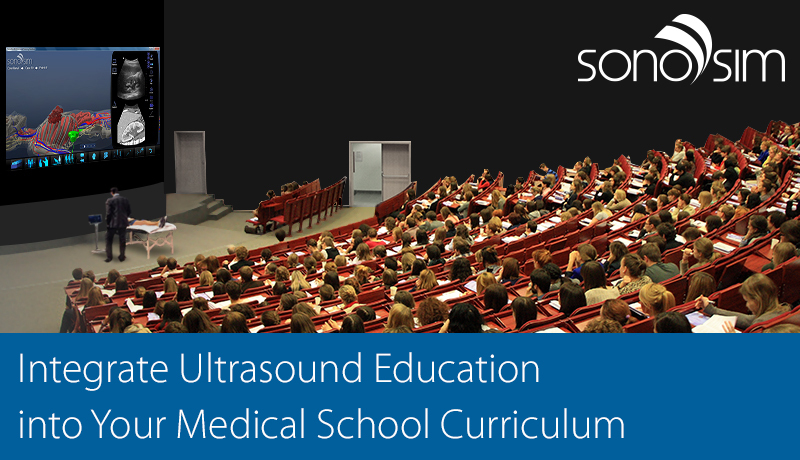 Has your medical school integrated ultrasound into its curriculum? Find out how SonoSim’s self-directed ultrasound training program is changing the way students learn anatomy, understand pathophysiology and examine their patients. We look forward to speaking with you at the 2nd Annual Ultrasound in Medical Education Forum at UC Irvine on May 31 & June 1, 2015. 1. Kobal SL, Trento L, Baharami S, et al. Comparison of effectiveness of hand-carried ultrasound to bedside cardiovascular physical examination. Am J Cardiol 2005 Oct 1;96(7)1002-1006. 2. Bahner DP, Limperos RJ, Rund DA. Ultrasound educational competency hierarchical outcomes: a report on the novice ultrasound user, the first year medical student. Ann Emerg Med 2005 Sept;46(3):22.